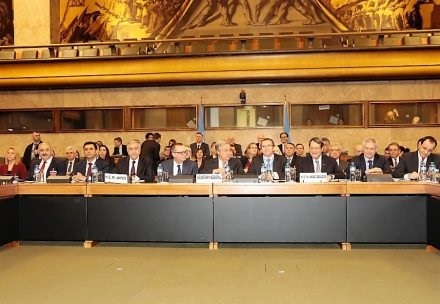 The international conference for the Cyprus talks will be held at the UN Office at Geneva today, following 3 days of negotiations between the Turkish Cypriots and the Greek Cypriots. The conference will be hosted by the UN Secretary General Antonio Guterres and will be the first international conference on Cyprus issue since 2004. The guarantor countries – Turkey, Greece and UK – will participate in the conference. They will be represented by the Foreign Minister of Turkey Mevlüt Çavuşoğlu, Greek Foreign Minister Nikos Kocias and Secretary of State for Foreign and Commonwealth Affairs Boris Johnson respectively. UN Secretary General Antonio Guterres is expected to meet with President Mustafa Akıncı and Greek Cypriot Leader Nikos Anastasiades before the conference. Negotiators Özdil Nami and Andreas Mavroyannis will also attend the meeting. The International conference is expected to start at 11.00 in Geneva (13:00 TRNC) at the UN Office. Both sides’ delegations, which are made up of 25 people, will accompany the leaders. There will be a break at 13:00 for a reception which will be attended by the members of the UN Security Council, the Cypriot Leaders, the negotiation delegations, representatives of the guarantor countries, the political parties and the EU delegation. The conference will continue with a working lunch. Yesterday’s meetings continued until 20:30 last night. The leaders submitted their maps last night, according to the Presidential Spokesperson Barış Burcu, who made a short statement at the UN Office. Burcu said that the maps were submitted in the presence of UN Secretary General’s Special Advisor on Cyprus, Espen Barth Eide and map experts from the UN and both the Turkish and Greek Cypriots. Turkish Cypriot and Greek Cypriot experts studied the maps along with UN experts to ensure that they are in accordance with the consensus reached in Mont Pèlerin. UN Secretary General’s Special Adviser on Cyprus Espen Barth Eide stated that the 12 January will be an “historic” day for the ongoing Cyprus negotiations in Geneva. Eide stated that Leaders have discussed almost all the issues and solved some of them. 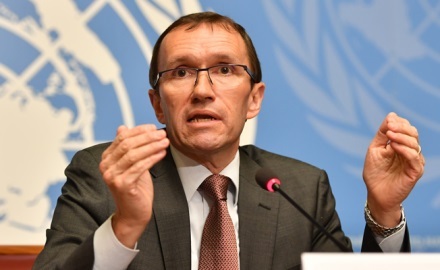 Speaking at a press conference at the UN Office at Geneva, Eide said that the negotiations that started on Monday are continuing as planned, as some thorny issues have been solved and others are very close to being solved. He said that there is still work to be done, and that experts from both sides, as well as President Mustafa Akıncı and Greek Cypriot Leader Nikos Anastasiades continue to work incessantly. Eide stated that time is needed for a positive result, but the five-party conference presents a good opportunity. Prime Minister and National Unity Party Leader Hüseyin Özgürgün and Deputy Prime Minister, Finance Minister and Democratic Party Leader Serdar Denktaş have issued a joint statement evaluating the negotiation process in Geneva. 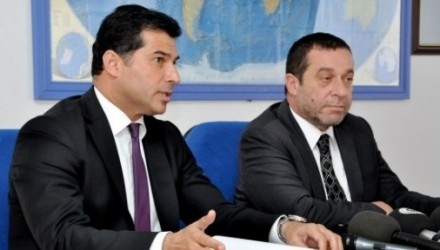 Özgürgün and Denktaş said that in addition to the negative consequences which they believe it will have on the TRNC’s socio-economic structure, presenting maps to the UN goes against the existing agreement, the parameters for a solution, and the negotiation strategy. Özgürgün and Denktaş noted that a negative and worrisome situation has been created during the negotiation process in Geneva. The Turkish Minister for European Union Affairs and Chief Negotiator Ömer Çelik stated that Turkey will welcome a solution that is based on two constituent and a sovereign states. In a press conference on the Cyprus negotiations in Geneva, Çelik noted that Turkey’s position on the Cyprus issue was clearly expressed earlier by Turkish President Recep Tayyip Erdoğan and Prime Minister Binali Yıldırım. Çelik also highlighted that Turkey showed its determination to reach a solution for the two states. Çelik also responded to statements made by some politicians in the press, adding that ‘South Cyprus is an EU state, and the TRNC can annex to South Cyprus’ approach is inappropriate. 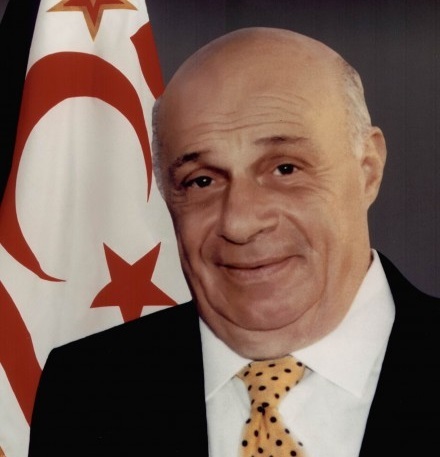 TRNC’s Founding President Rauf Raif Denktaş will be commemorated on 13 January with ceremonies on the 5th anniversary of his death. A ceremony will be held at TMT Monument for the Founding President. This entry was posted in News and tagged Cyprus negotiations, Espen Barth Eide, Hüseyin Özgürgün, Mustafa Akıncı, Nikos Anastasiades, North Cyprus, Omer Celik, Rauf Raif Denktaş, Serdar Denktaş, TRNC. Bookmark the permalink.